Apparently, Siberia isn’t the only place that has been experiencing strange geological occurrences lately. 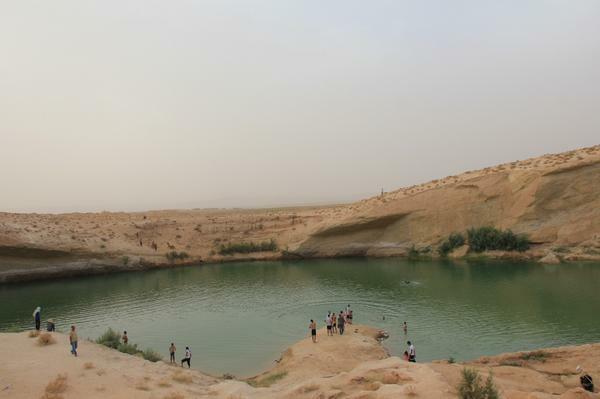 Residents of the Gafsa region in Tunisia are still trying to make sense of a lake that appeared out of nowhere recently. A group of three shepherds with an intimate knowledge of the land in the region discovered the new lake three weeks ago. Since then, people in the area have been buzzing. Some people say it’s a miracle- others say it’s a curse. Tunisian authorities have officially banned swimming in the lake, warning that the water may not be safe. One reason for this concern is that the soil in the area near the newly-formed lake has high levels of phosphate; the mining of this mineral actually drives the bulk of the economic activity in the region. This has led to fears that the water may be contaminated with the chemical. Phosphate residue can be highly radioactive and enough exposure to it can lead to cancer. But, despite the potential risks, more than 600 people have already visited the “miracle lake”. So where did it come from? Well, a local geologist from the city of Gafsa thinks that the lake is most likely the result of seismic activity in the area, theorizing that underground tremors created a crack in the groundwater table. That theory has yet to be confirmed, but it seems to be the best explanation proposed so far. You can read the Google translation of the original story from the Tunisia Daily (a French-language paper) here. Water is the most important necessity for life. However, it’s something that we take for granted in much of the developed world. Although 70% of the world is covered with water, only 3% is freshwater, and 2/3 of that is frozen and inaccessible. Also, most people don’t realize just how much water we use for food- it takes an estimated 441 gallons of water to produce just one pound of boneless beef, and a large portion of our freshwater is used for agriculture. Dr. Theresa Dankovich is a post-doctoral researcher at the University of Virginia. Dankovich, whose specializes in chemistry, recently designed a new type of paper which is coated in silver nano-particles which not only filter the water but actually kill the bacteria of common (yet deadly) water-borne diseases like typhoid and cholera. The paper has been proven to remove more than 99.99% of bacteria in the water, and it costs just pennies to produce, making it cheaper than any other filtration devices on the market. The paper is printed with important information and tips about water health and safety and then bound into a book which not only educates people about water safety but actually provides them with the filters they need to purify their own water. For more on the Drinkable Book and other creative solutions to the clean water crisis in underdeveloped countries, visit waterislife.com. A group of experts from the British Drinking Water Inspectorate recently carried out a series of tests to see what chemical compounds were in British drinking water. Even after intensive purification treatments, the scientists found traces of cocaine. Specifically, the scientists found benzoylecgonine, which is the form that the compound takes after being metabolized in the body. It’s the same compound that is looked for in urine when testing a person for cocaine use. According to the charity DrugScope, England has 170,000 crack cocaine-dependent addicts, and an estimated 700,000 British citizens aged 16-59 use cocaine at least once every year. But cocaine wasn’t the only thing found in the water. 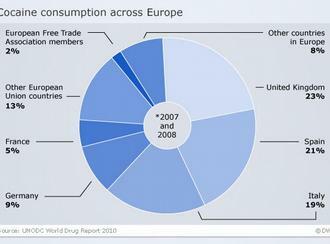 The inspectors also found traces of the common painkiller acetaminophen and the epilepsy drug carbamazepine. There were also significantly higher levels of caffeine in the water. However, little research has been done into whether or not constant, regular exposure to these pharmaceuticals, even in small doses, can cause cumulative effects over time.